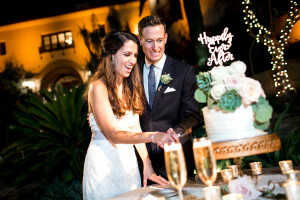 Founded in 2011 by Lesley Bodwell & Rhonda Santora, Frost It Cakery specializes in gourmet wedding cakes, custom cakes, specialty desserts, cupcakes and more. We are very excited to announce some new changes coming to Frost It Cakery in 2016! We are thrilled to have had an incredibly successful 2015 wedding season! After much thought, we have decided to transition our storefront to an appointment only cake & dessert boutique. This will enable us to better serve our wedding and custom cake clients. The only thing that’s changing, is that our storefront will no longer be available for daily walk in cupcake and dessert sales. We will continue to meet with wedding clients for consultations and tastings by appointment, and now for custom cake orders as well. We wanted to think “outside of the box” and come up with a variety of unique and delicious flavors that appealed to everyone! From old fashioned favorites like Chocolate and Vanilla Bean to Salted Caramel Cupcakes and our trademark Almond cake, our desserts will definitely amaze you. We also make cake push ups, cake pops, and we are the creators of “The Brookie” our delicious brownie with a chocolate cookie on top. All of our goodies are baked fresh, onsite, from scratch. We use only the highest quality ingredients including hand picked organic fruits from our local Famers’ Markets. With passion and a pinch of sugar, this dynamic duo is nothing short of sweet! Combining artistry and culinary perfection, they are leading the way in delicious delicacies. 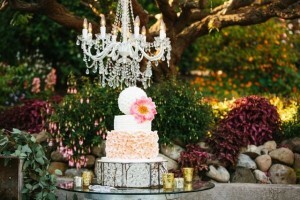 From wedding cakes to dessert bars, these ladies are always on trend and never short on taste. Unique, custom designs will coordinate beautifully with any event. These ladies have been featured in numerous wedding blogs such as Style Me Pretty, Ruffled and many more. As well as print ~ Flutter Magazine, Magnolia Rouge and local magazines such as 805 Living Magazine, Westlake Malibu Magazine. These ladies are also the proud recipients of the coveted 1st Place “Yummie” Award at the Casa Pacifica Food and Wine Festival and Best Wedding Cakes – 2015, by California Wedding Day Magazine. Our delicious desserts are perfect for any occasion…. such as birthdays, weddings, baby showers, or corporate events, just to name a few. We specialize in beautiful custom cakes, wedding cakes, and dessert bars. We offer beautiful cupcake towers along with delivery and set up. Your event can be completed with a custom cupcake display, handmade fondant decorations and matching cupcake wrappers. Please visit our Custom Gallery page to view some of our custom work.